This is an old article, but nevertheless, i wonder why BMC stopped manufacturing their own carbon? Or for that matter, why did Impec frames meet an early retirement? My guess. Toray + asian mass manufacturer equals better margins. The impec for all its inhouse control was heavier and in no measurable way superior(other than looks) to an asian slr01. reminds me of how serotta got in trouble. they did too much themselves even when the gains were marginal and often added to the companies cost structure. my guess is they realized they were better off financially outsourcing and sticking to core competencies. The main concept behind the BMC plant was to “automate” the process via robotics and stuff like that. So I don’t think the labor intensive thing really applies here. If I recall, robotic automation of the process proved to be more difficult than anticipated and the business model didn’t really pan out. Simple: it's stupid expensive for a bike in it's time. 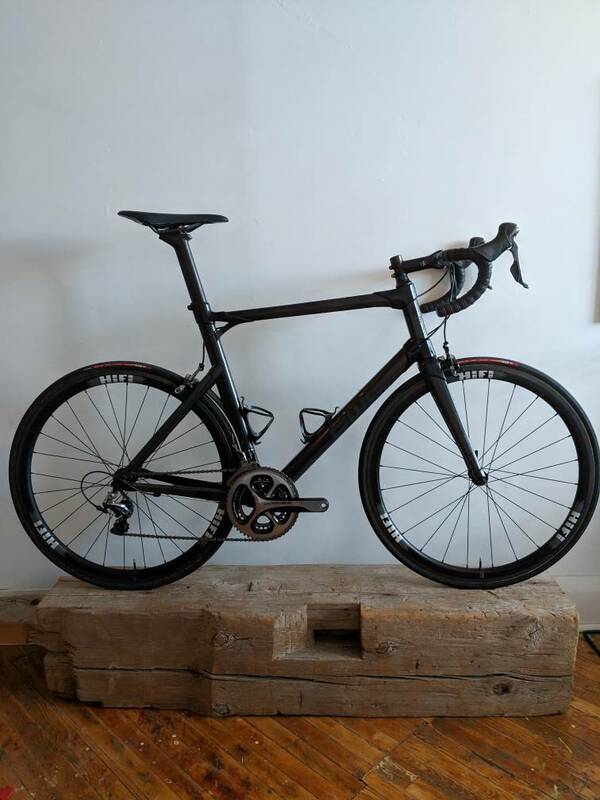 RA Cycles are still asking $4200 for the frames and it's 2019. Cadel won TDF and Gilbert won the Worlds aboard the SLR. It's a hard sell. I would love to have one though..! Probably the coolest bike related factory I have ever had the privilege to have been to. This is interesting read of carbon composite. I've also heard own plants/ factories risk to cost too much aswell as lag compared to giant factories development. F1 tech (huge money), helps push the development. Some brands use composites developed (and design studies) for F1 and aerospace materials. A monocoque performs better in all areas. That's the long story short. Very interesting, it seemed cadel doesn't really appreciate this Swiss precious bike. the impec looks lovely. reckon for most folk it'd be a great bike. but, its a heavy frame, is probably about as aero as a barn door as well.